Email Marketing is here to stay. Spamming is not. We do not believe in sending emailers to a vast database with the hope that at least someone will hear the message. Email marketing is a science and we treat it that way. 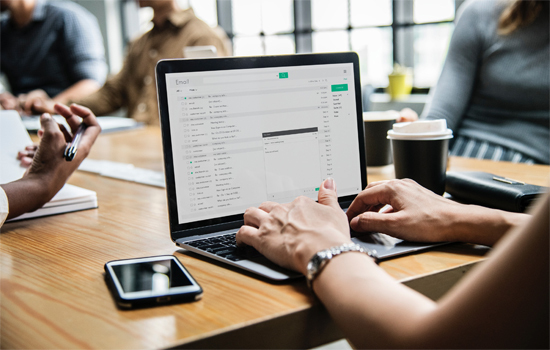 From choosing the right messaging for the right audience, and from designing the mailer to that perfect “call to action”, we do it all for your e-mail marketing campaigns. And, we track the performance to let you analyze the performance & the impact. Digital Advertising is no longer a passing fad, but integral to marketing strategies of all major and minor brands across the world. As the competition is tough, it requires lot of expertise and technological knowledge to create campaigns which are effective and successful. Tangerine offers web designing, Pay-Per-Click marketing, Email marketing campaigns, brand creation, and other digital marketing services to give your brand and your business an edge. We go over and beyond the bottom line and give you just the strategies most suited for your business. We offer a flexible, computable and highly productive digital marketing expertise and services, this differentiates us from other digital marketing agencies.